Born in Accra, Ghana on 4 May 1957, John Akomfrah is one of five children of Ghanaian political activists. He was educated at local schools in West London and at Portsmouth Polytechnic, where he graduated in Sociology in 1982. Akomfrah is best known for his work with the London-based media workshop Black Audio Film Collective , which he co-founded in 1982 with the objectives of addressing issues of Black British identity and developing media forms appropriate to this subject matter. Akomfrah 's work takes a deliberately questioning approach to documentary film. His debut as a director, the controversial and influential Handsworth Songs (1986), reworks documentary conventions to explore the history of the contemporary British black experience: the film won seven international prizes, including the prestigious John Grierson Award. Testament (1988) is a portrait of an African politician forced into exile after a coup d'etat. The emergence of Black Power in Britain is the inspiration for Who Needs A Heart? (1991) and Seven Songs for Malcolm X (1993). A departure from earlier themes, the BFI production Speak Like a Child (1998) is a psychological drama set in Northumberland. 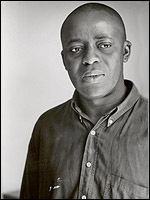 Besides making theatrical films, Akomfrah has directed many television programmes, including one about Martin Luther King for the Reputations series ('Dr Martin Luther King: Days of Hope', BBC, tx. 30/7/1997) and another on Louis Armstrong for the BBC arts programme Omnibus ('The Wonderful World of Louis Armstrong', BBC, tx. 10/5/1999). A critic as well as a film-maker, Akomfrah has written widely about African cinema. He has been a member of the Arts Council Film Committee , and is currently a BFI Governor.